The day starts early for the delivery truck drivers and driver/sales workers who ensure local businesses open with stocked shelves, and may continue late into the night as drivers ensure that customers receive their products and services throughout the day. These drivers’ vehicles are lighter than semis, weighing less than 26,000 pounds. Delivery truck drivers and driver/sales workers need a thorough knowledge of their local street grid to plan their routes —especially which roads allow trucks. Light truck drivers drive small trucks or vans from distribution centers or stores… to homes and businesses, following an established schedule. Most work for retail and wholesale trade companies, or couriers. Driver/sales workers usually have a regular delivery route, and also visit potential clients to expand their sales. They might deliver an order to a hardware store, then promote a new product to the store manager. They also deliver and receive payments for goods such as take-out food or pizza. These drivers generally work full time. 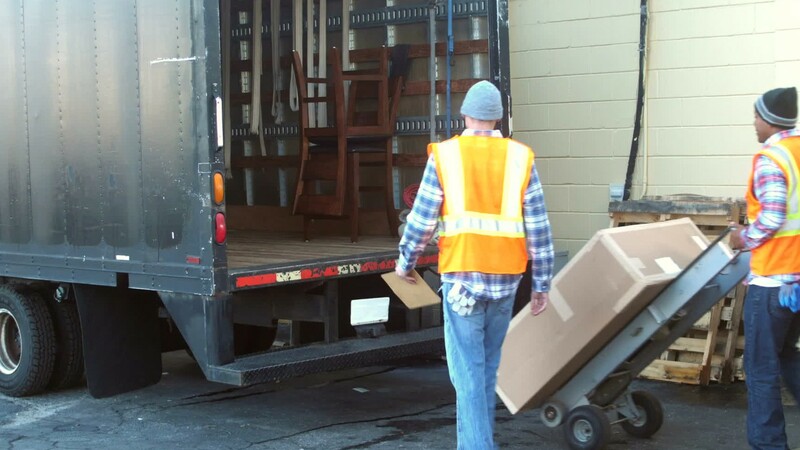 It can be physically demanding work —driving for long periods, lifting, and carrying boxes. Injury rates are higher than for most jobs. Delivery truck drivers and driver/sales workers usually have a high school education, and must have a driver’s license and clean driving record. A few weeks of on-the-job training is typical. See more details at O*NET OnLine about driver/sales workers. Driver/Sales Workers by U.S. Department of Labor, Employment and Training Administration is licensed under a Creative Commons Attribution 4.0 International License.